We just came off a long, painful nine-month wait for “Captain Marvel” after the pair of devastating cliffhangers that concluded “Avengers: Infinity War” and “Ant-Man and the Wasp” last summer. We’re absolutely dying to see how this story continues, and we figured “Captain Marvel,” being placed so closely to “Avengers: Endgame” on the calendar, would be a part of it. So last summer, we here at TheWrap wrote a bunch of speculative pieces in response to that insane “Avengers: Infinity War” cliffhanger. 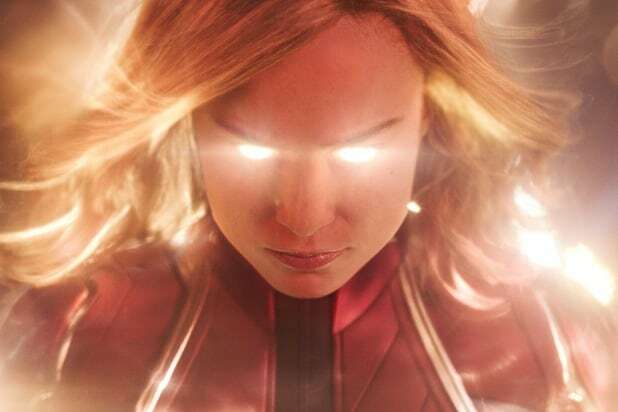 The most popular of those — and by far the longest at 2200 words — was about how “Captain Marvel,” hitting theaters less than two months before the then-unnamed “Avengers: Endgame,” would likely have some deep ties to the Avengers’ battle against Thanos. And yet, somehow, it just doesn’t. “Captain Marvel” has absolutely no apparent relevance to the current greater plot of the Marvel Cinematic Universe. And that is extremely weird. It was tough, last year, to imagine that “Captain Marvel” wouldn’t be hugely relevant to “Infinity War” and “Endgame” beyond just introducing us to Carol Danvers. Thanos in the comics, after all, was a longtime enemy for Mar-Vell — you know, the person from whom Carol takes the Captain Marvel moniker. This movie could naturally work not just as a prequel to the Marvel Cinematic Universe in general, but also specifically to Thanos’ crusade. And there were a few tangible reasons from the movies themselves to think that “Captain Marvel” would function that way. In “Infinity War,” Thanos indicates his crusade began about two decades prior, making the mid-90s setting for “Captain Marvel” very conspicuous. In another scene he says “I ignored my destiny once,” a comment you could interpret as referring to the fall of Titan. But I don’t buy that interpretation, because that sentiment doesn’t quite jive with how he described that situation. What would his destiny have been in that situation? To institute his death lottery by force? No, the vibe there is that the fall of Titan turned him from someone who tries to convince into someone who imposes his will. If that line was referring to the fall of Titan, then it did so clumsily. Maybe the hardest evidence we had that “Captain Marvel” would hold meaningful relevance to “Infinity War” and “Endgame” is the inclusion of Ronan the Accuser (Lee Pace) in the cast of characters. Ronan was of course first seen in “Guardians of the Galaxy” working for Thanos as part of Thanos’ crusade to exterminate half of all life in the galaxy. Remember this was in the years before Thanos finally acquired all the Infinity Stones, when he or his underlings invaded one planet at a time and murdered half the population. Ronan was in charge of the invasion of Drax the Destroyer’s homeworld, and personally murdered Drax’s family. But Ronan only worked for Thanos because he rejected a peace treaty between the Kree empire and Xandar; Thanos promised to destroy Xandar if Ronan would serve him. We’ve long known that in “Captain Marvel,” which takes place in 1995, Ronan is still part of the Kree military. Which means at some point between 1995 and 2014, Xandar and the Kree ended their war, and Ronan left the Kree empire in outrage, pledging himself to Thanos. It would have been easy for “Captain Marvel” to include something that sets these events in motion, even if only a reference or a conversation. Yet, bafflingly, Ronan is only in “Captain Marvel” as a reference to another MCU movie, and there’s nothing here that even begins to point at why he would abandon his people to join Thanos. He’s just kinda in this movie, barely participating, and you’d be forgiven if you didn’t even realize he was a character you’d already seen because he’s not at all significant even just in the context of this movie. And don’t even get me started on the pager thing. One bit I felt was key coming in to this movie was that there had to be a real reason why Carol had not come back to Earth earlier, and why Fury had not tried to call her in during one of the world-ending threats the MCU heroes had faced before “Infinity War.” Instead, Carol just gives Fury the upgraded pager and says to call only in an “emergency.” They needed to rationalize in-universe why nothing in the past decade of MCU stories qualified as an “emergency,” and that’s not it. They didn’t even make this movie relevant in that way. And then, like, how do you put this movie on the calendar just six weeks before “Avengers: Endgame” and have it be so irrelevant to the greater story? We’re all gripped by #EndgameFever right now, and so the absence of any meaningful nuggets that provide some kind of context to the ongoing story is kind of deflating if you’re emotionally invested in this franchise. Part of the excitement for “Captain Marvel” — a not-insignificant part — was that it felt like it was going to be an important new installment in the MCU. Instead, it’s just a side story, moreso even than the other MCU movie we got during this interlude, “Ant-Man and the Wasp” — that movie, while certainly acting as a light side-plot to counter the grimness of “Infinity War,” still laid down important groundwork for “Endgame” with all the Quantum Realm stuff. Plus, it had a mid-credits stinger that leads directly into this next “Avengers” movie. “Captain Marvel,” by contrast, just has an actual scene from “Endgame” in lieu of setting anything up. And look — I can admit that it’s entirely possible that my read on this is wrong and that it will turn out that something or some things we saw in “Captain Marvel” is in retrospect actually tangibly related to “Infinity War” and “Endgame.” Beyond, of course, just showing how Carol unlocked her full potential. And sure, it’s important that she’s got full command of her Tesseract-given abilities — it certainly means something that she’s got some Infinity Stone powers in her. But actual plot setup for “Endgame” would be showing how those powers will be specifically meaningful in the upcoming fight, and that did not happen here. But yeah, sure, maybe there are some key plot details in “Captain Marvel” that are important parts of the ongoing story and it won’t be obvious what they are until after we see “Endgame.” I don’t know why they would have done it that way. These movies are, ultimately, advertisements for each other, so it doesn’t make sense to bury those details and make the advertisement aspect less effective. At this moment, though, I’m just confused as to how Marvel would choose to introduce this character tangentially in “Infinity War,” in a stinger that sure makes it look as if the Avengers wouldn’t be able to stop Thanos in without her — and set her movie in the ’90s, as if there was some specific reason why she stayed away from Earth for 24 years — and then just give us a movie where nothing that happens in it appears to be relevant to “Endgame,” the movie that will end the story of the first 11 years of the Marvel Cinematic Universe. I just don’t get it.